The DVD features concert footage, band interviews, a documentary, behind the scenes footage, and a photo gallery consisting of approximately 1,000 photos. 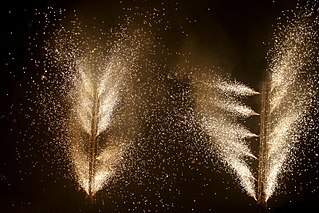 Three of the performances feature multiple angles. 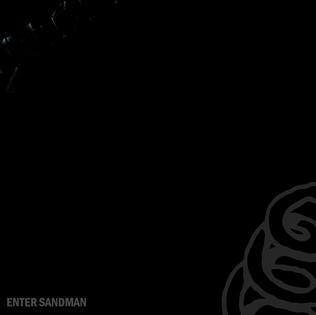 During the performance of the song "Enter Sandman", the entire stage is set to appear to collapse and explode, with pyrotechnics and a technician (referred to in the extras as the "Burning Dude") who runs across the stage while on fire, as another technician swings overhead. 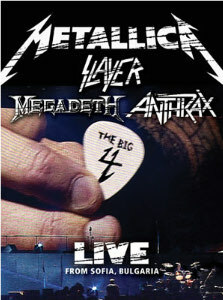 This is also one of the few Metallica concerts that did not feature "Ecstasy of Gold" as an intro. 6: Fight Fire with Fire"
Anton Johannes Gerrit Corbijn van Willenswaard is a Dutch photographer, music video director and film director. He is the creative director behind the visual output of Depeche Mode and U2, having handled the principal promotion and sleeve photography for both bands over three decades. Some of his works include music videos for Depeche Mode's "Enjoy the Silence" (1990), U2's "One" (1991), Bryan Adams' "Do I Have to Say the Words? ", Nirvana's "Heart-Shaped Box" (1993) and Coldplay's "Talk" (2005) and "Viva la Vida" (2008), as well as the Ian Curtis biographical film Control (2007), The American (2010), and A Most Wanted Man (2014), based on John le Carré's 2008 novel of the same name. The Freddie Mercury Tribute Concert for AIDS Awareness was a benefit concert held on Easter Monday, 20 April 1992 at Wembley Stadium in London, England for an audience of 72,000. 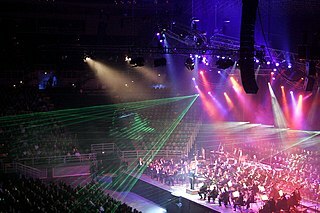 The concert was produced for television by Ray Burdis, directed by David Mallet and broadcast live on television and radio to 76 countries around the world, with an audience of up to one billion. The concert was a tribute to Queen's lead vocalist, Freddie Mercury, who died of AIDS on 24 November 1991. The show marked bassist John Deacon's final full-length concert with Queen. The profits from the concert were used to launch The Mercury Phoenix Trust, an AIDS charity organisation. 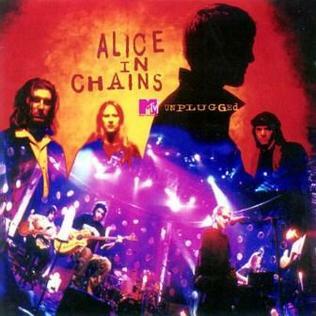 Unplugged is a live album and DVD by the American rock band Alice in Chains. It was recorded at the Brooklyn Academy of Music's Majestic Theatre as part of the MTV Unplugged series of concerts and contains live, acoustic versions of the band's songs and has been certified platinum by the RIAA. The Deli Creeps were an avant-garde band consisting of singer Maximum Bob, guitarist Buckethead, drummer Pinchface and various bass players, most recently Daniel Monti. Though Buckethead is the only member who makes a consistent effort to hide his identity, little is known about the other members of the band. 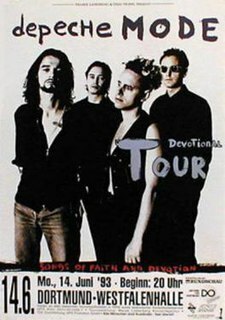 The Devotional Tour was a 1993 concert tour by English electronic band Depeche Mode in support of the group's eighth studio album, Songs of Faith and Devotion, which was released in March 1993. Live Evolution is the title of a 2001 live album and a DVD released by the American progressive metal band Queensrÿche. It was recorded over two nights at the Moore Theatre in Seattle, Washington. On the CD the tracks were collected in suites, which represent different moments of the band production and include a large section of the concept album Operation: Mindcrime. The DVD contains footage shot at the same concerts and features less songs listed in the order they were played during the shows. Live In Barcelona is a full concert video DVD of a performance by Bruce Springsteen & the E Street Band of their Rising Tour performance of October 16, 2002 at Palau Sant Jordi in Barcelona, Catalonia, Spain. All Excess is Avenged Sevenfold's first DVD which was released on July 17, 2007. 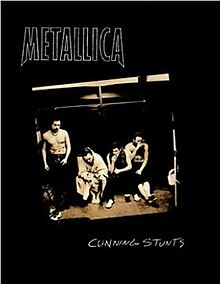 The DVD includes a documentary with footage dating back to 1999, four live performances, along with four music videos, and several outtakes. Suurte Masinate Muusika is a live DVD by No-Big-Silence and Tiit Kikas of their concert at Leigo Järvemuusika in 2005. 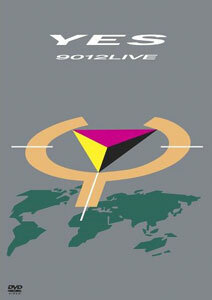 9012Live is a concert film featuring the English rock band Yes, recorded at Northlands Coliseum in Edmonton, Alberta, Canada on 28 and 29 September 1984 on the band's tour in support of their eleventh studio album, 90125 (1983). It mostly features performances from 90125, which was their highest selling album. The band consists of singer Jon Anderson, guitarist Trevor Rabin, keyboardist Tony Kaye, bassist Chris Squire, and drummer Alan White. The film includes computer special effects from Charlex. 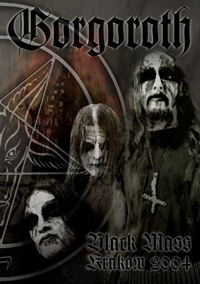 Black Mass Krakow 2004 is a live concert DVD by Norwegian black metal band, Gorgoroth. It was released by Metal Mind on 9 June 2008 in Europe, and on 8 July 2008 in the US. The DVD featured the band's controversial 2004 concert that was filmed in a TV studio in Kraków, Poland. The DVD also included live footage from the Full Force Festival Leipzig 2000, band biography, discography, photo gallery, desktop images and web links, and was compatible with Dolby Digital 5.1 Surround Sound. Live at Shepherd's Bush, London is a DVD by the Swedish hard rock band Europe. The main feature is a concert filmed at the O2 Shepherds Bush Empire in London, England on 19 February 2011. It was released on DVD and Blu-ray on 15 June 2011. Live at the Isle of Wight Festival is a live concert video by the British rock band Steve Harley & Cockney Rebel, filmed at the 2004 Isle of Wight Festival, and released on DVD in 2005. It is the band's third filmed concert release, and first such release on DVD. Live from London is a live concert video by the British rock band Steve Harley & Cockney Rebel, filmed during a concert in 1984. 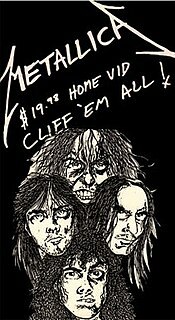 It was the band's first release on VHS, being released in 1985.